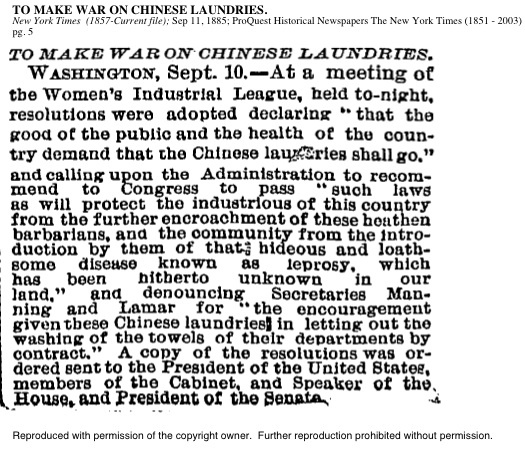 In the late 1800s numerous laws directed against Chinese laundries were passed, the most notorious one in San Francisco banning laundries in wooden buildings. Yick Wo appealed this law to the Supreme Court, which ruled that inasmuch as only the Chinese had laundries in wooden buildings. it violated the 14th Amendment to the Constitution that protected Equal Rights. 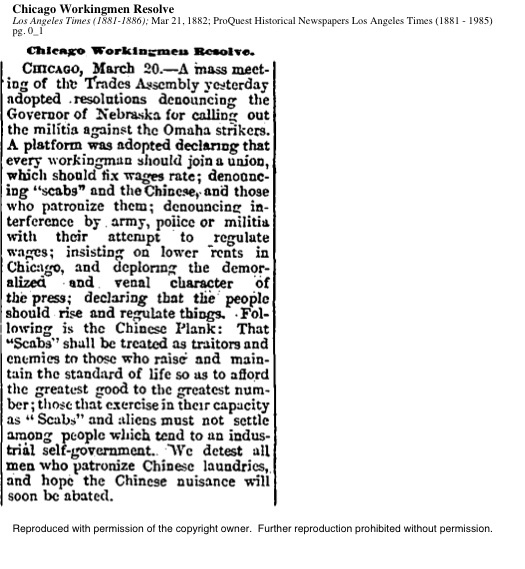 Other examples of anti-Chinese movements can be seen in a Women’s League campaign against Chinese in 1885 and a trade union in the midwest denouncing Chinese and their supporters in 1882.